Fenfast Side Effects - Does Fenfast have Side Effects? Among the first thing that dieters want to know about FENFAST 375 is whether or not there are any side effects. This is a very important thing to consider, particularly since this nutraceutical contains stimulants that provide very similar benefits to prescription weight loss medications. It is important to understand that FENFAST 375 does not include any prescription or regulated ingredients in its formula. This, in general, makes it far safer to take than prescription diet pills like Phentermine and Adipex. However, some people may still experience some side effects when taking FENFAST 375 tablets. These side effects will typically be very mild in nature, such as a dry mouth or a jittery feeling. However, FENFAST is not recommended for everyone. For example, people who are sensitive to stimulants, who are taking other medications or supplements, or women who are pregnant or nursing should not take FENFAST 375. Your doctor can help to determine whether this product is safe for you. Prescription diet drugs based on phentermine hydrochloride – which is a very powerful stimulant – can generate a number of different unwanted effects. These can range from mild inconveniences (some of which go away after the first few days or weeks of use) such as headache, tremors, constipation and dry mouth, to severe or dangerous reactions such as convulsions, heart palpitations, seizures, or very high blood pressure. As both types of diet pills stimulate the central nervous system, it is easy to suspect that the drawbacks may also be similar. However, there are no severe FENFAST side effects when taken as directed. It is perfectly safe to use for many dieters, and will not cause them to experience those powerful or dangerous symptoms. Furthermore, unlike the prescription strength counterparts, this over the counter pill also does not come with an extremely high risk of problematic addiction. 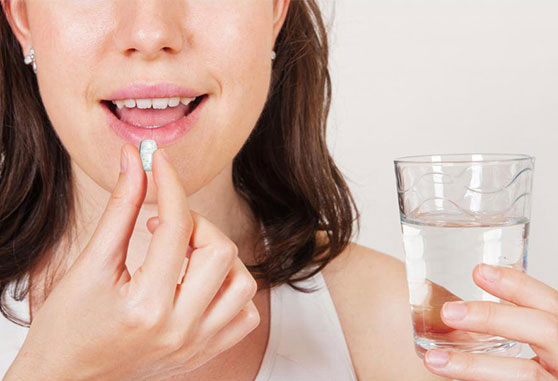 Though the prescription drugs must be reserved for short term use or the dieter could form a dependency on the medication, this nonprescription tablet can continue to be used over the long term, as long as the dieter needs to continue to lose weight. This pill does contain caffeine, which can cause mild withdrawal effects when immediately stopped, but they are small in comparison to amphetamines. Because the formulation does contain stimulants, there is a chance that people who have a specific sensitivity to that type of ingredient could experience the same type of FENFAST side effects that they would have if they drank coffee. The reason is that coffee contains caffeine, which is also a stimulant. Some people find that they can experience mild symptoms, such as jitters or others, when they have stimulants of any kind. Those individuals may not find that they can use this product without that experience. At the same time, though, the majority of healthy dieters should find that they can use this product without experiencing any unwanted FENFAST side effects at all. This is because it has been carefully formulated to balance all of the ingredients in a way that will ensure their maximum benefit and lowest possible chance of drawbacks.